On my way to pick them up from the airport I stopped by Micklethwait Craft Meats for a BBQ sandwich. Unfortunately they were out of brisket, so I gave their chicken a try. He asked if I wanted a side (beans, slaw, or grits) for a dollar more… so I got a moon pie. Dessert can be a side too! Anyway, the chicken was juicy and flavorful, but really needed the sauce to make it good. The (homemade) moon pie, on the other hand, was excellent as always! After picking them up and a brief driving tour of Austin, we ordered a classy Antonelli’s cheese plate at the hotel bar before heading to dinner. 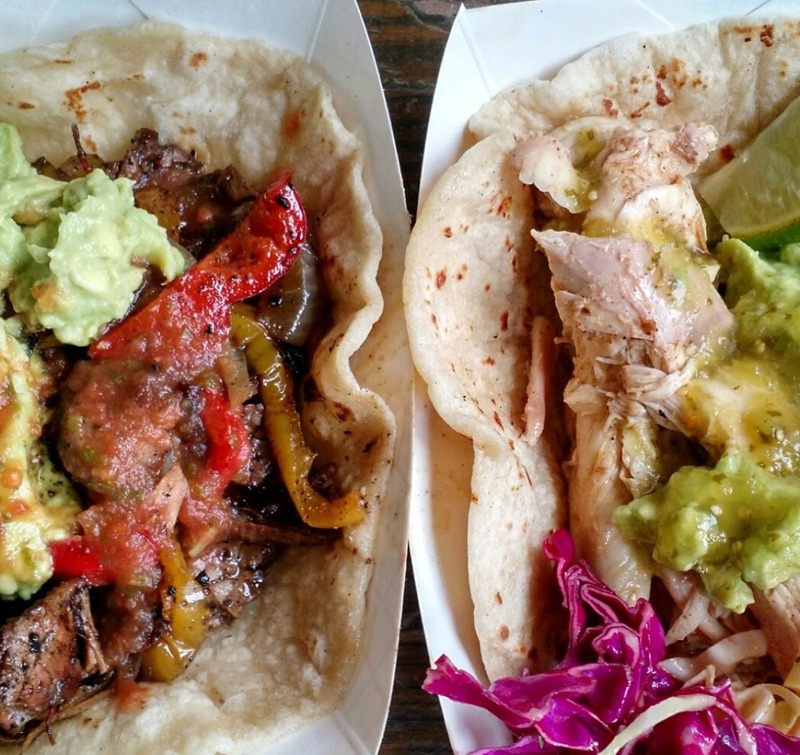 We had never eaten at El Alma but had heard high praise, so we gave it a try. Evelyn’s duck enchiladas stole the show for me, though my Duck Chile Relleno was stuffed with great shredded duck and a nice sauce around the plate. I’d go back. After dinner, naturally we sped down to Cow Tipping Creamery before they closed. They had a huge day of sales and running low, but they were able to pull together a Fluffer Nutter and an At The Ritz for us to share. The next day we attempted to get La Barbecue for brunch, but we were greeted at 11am with what would have been a 90-minute line. Evelyn made a great audible and scored us a table at Lambert’s for brunch. The boar rib appetizer (no photo) must be ordered when you go. My Brisket Hash had huge flavor and left me completely satisfied with our back-up meal. Post-brunch we did some shopping before taking a brief (steep) hike up the steps of Mt Bonnell to see great views of the city. Proud of ourselves, naturally it was time… for more Cow Tipping Creamery! This happened. Strawberry Margarita ice cream, roasted strawberries and Key Lime graham mousse! Vanilla ice cream with whiskey wet walnuts, brown sugar hot fudge, and brownie chunks! For dinner we went fancy with a great meal at The Driskill Grill. It’s our go-to place to show that Austin still has some Texan roots. To start they brought out a tiny tomato bisque with a proportionately tiny spoon. (Note: double scotch in the background due to a mix-up at the bar. Yes please!) I had a super juicy boar chop for my meal and loved it. Mercifully, for my stomach’s sake, it was on the small side. But the sides of duck confit potatoes and baconized Brussels sprouts made sure I overate before leaving. Unfortunately due to the impending inclement weather patterns sweeping across the country (and thus rescheduling flights to leave earlier than expected), our plans of picking up La Barbecue Sunday morning for brunch will have to be saved for another visit.